Great Opportunity in Airlines Filed ! 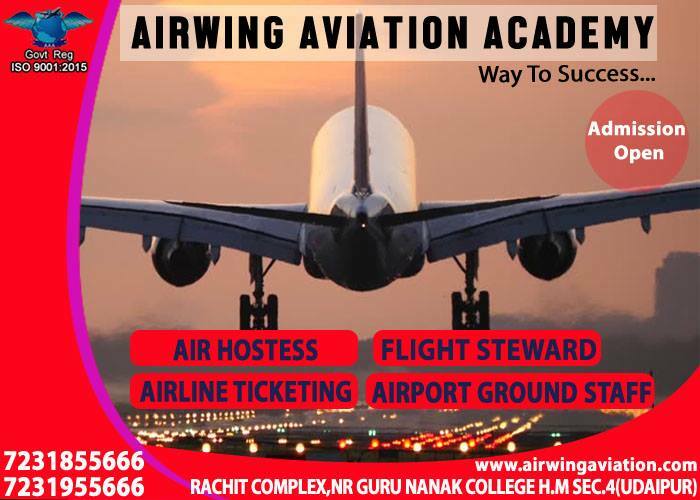 Get 100 Job Assistance with Airwing Aviation Academy (A Govt. Reg and ISO 9001:2015 Certified Academy) in Air hostess, Flight Steward, Cabin Crew , Airport Ground Staffs, Airline Ticketing, Airport Handling staff, Admission Open , Limited seats Contact :- 7231855666, 7231955666 web side :- www.airwingaviation.com Email :- hr.airwingaivaition@gmail.com Address :- Rachit Complex, Nr. Gurunanak Girls College sec. 4 Udaipur ( Raj).